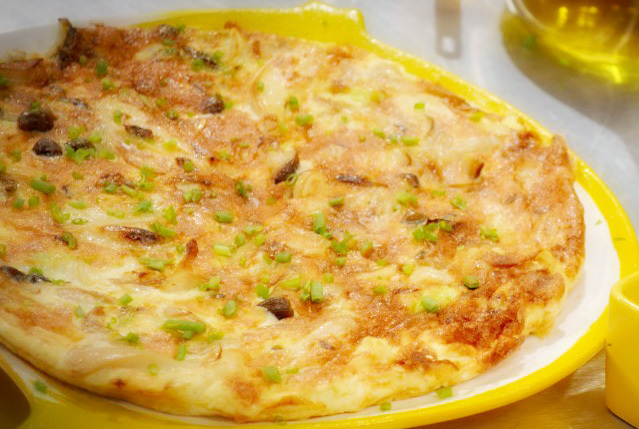 Magic Egg White Frittata is Chef Boy's very own take on the classic Italian frittata, which is also a take-off from the French omelette. Of course, the frittata is open-faced while omelette is folded half-moon. Also, the omelette is cooked very quickly on high heat with all the ingredients folded insideafter the eggs has been fried; while the frittata has to be cooked slowly, almost lazily, stirring constantly as the eggs simmer along with the other ingredients. 1 In a bowl beat egg whites with all-purpose cream, hot sauce, lemon juice, lemon zest and 1 8g sachet of Maggi Magic Sarap. 2 In a non-stick pan, heat oil. Sauté mushrooms and leeks until soft. Season with Maggi Magic Sarap and pepper. 3 Pour in beaten egg whites and cook for 5 minutes. Transfer to a pre-heated 350°F oven and cook until egg whites are set.